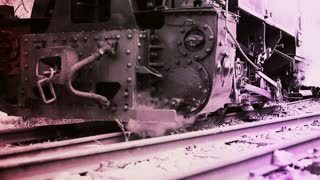 Search Results for "STEAM TRAIN"
Vintage Steam Train Carriage interior footage with dust and scratches. LOUGHBOROUGH, UK - NOVEMBER 21, 2015: A steam train pulls into Loughborough station on the The Great Central Railway. 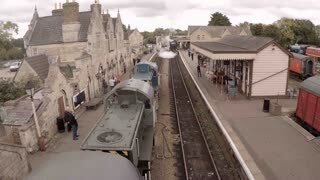 Focus on vintage luggage in foreground as blurred steam train pulls into the station in background. 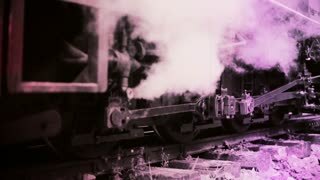 Vintage British Railways train carriages on platform with steam billowing. 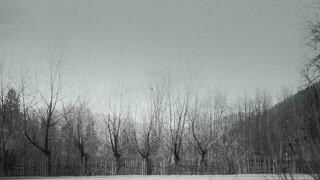 Focus on foreground carriage. 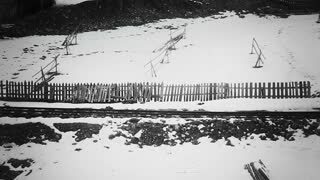 UNITED STATES 1950s: Boy Talks to Train Driver About Steam Trains. Children Gather Around Steam Train. 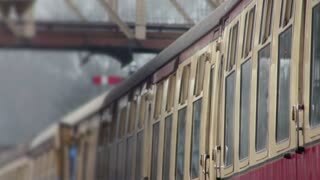 Children Look Down on Classmates from on Board a Steam Train. Boy Holds Camera. 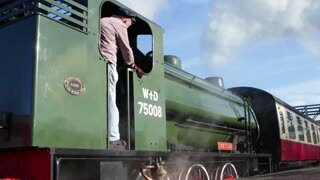 English Steam Train. 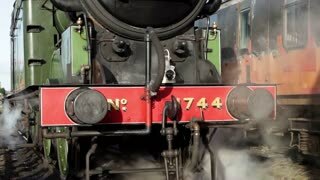 A steam train heads across the Cumbrian countryside in northern England, on the English west coast mainline (4k, 25fps). 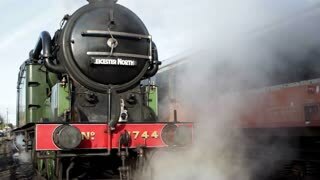 English Steam Train. 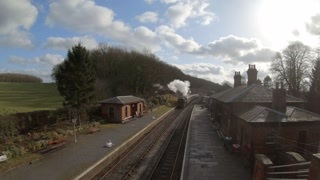 A steam train approaches Langwathby in northern England, on the Settle to Carlisle railway (4k, 25fps). 1930s: Steam train carries freight cars to factory. 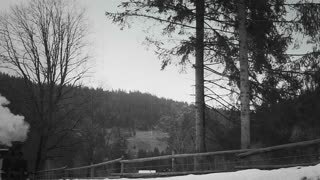 Steam train carries automobiles on flatbeds through mountain. Railway terminal full of steam engines. Passenger ships at dock. 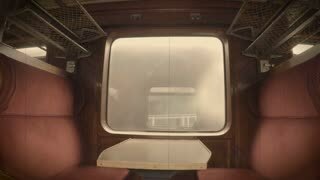 Steam Train Cab. 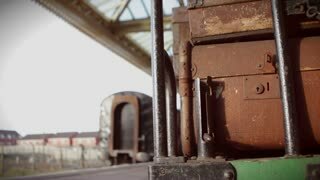 The view across the cab of a preserved steam train as a coal fire burns in the fire box. 1940s: Waters ripples in river. Steam train runs along river bend. 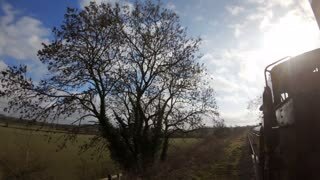 Steam train runs past river and barn. 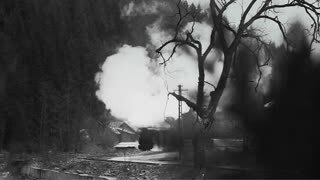 1950s: UNITED STATES: steam from chimney on train. 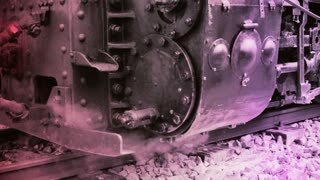 Wheels on steam train move. 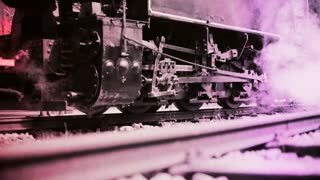 Train on tracks. Close up of wheels. 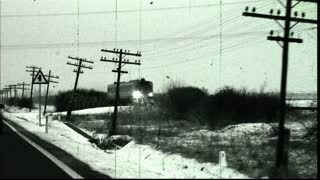 1950s: UNITED STATES: man looks out from train on tracks. 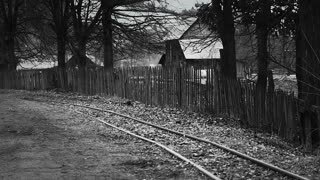 Steam train on tracks. 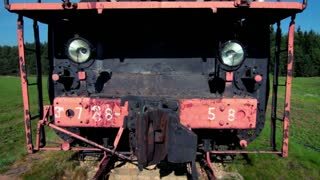 Front view of train. 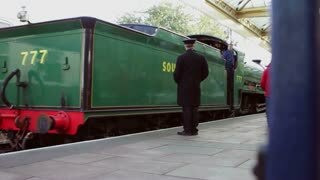 Side view of train. Shot of steam train wheels. Steam coming from below. 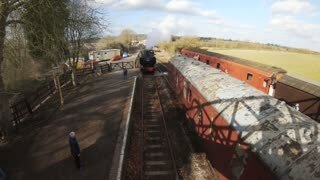 Wide shot of steam train with steam coming from below. Looking down and the dropping down to focus on the steam train releasing steam just before leaving the station. 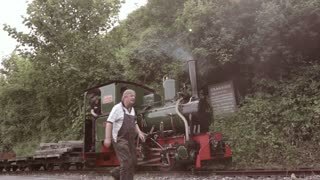 A steam train evacuates the steam by a blast valve, when stopped.